People protest against the US immigration policy that separates families. Photo: Patrick Fallon, Reuters. If the last few weeks have taught us anything, it’s that U.S. immigration policy is rapidly shifting under President Donald J. Trump’s administration – and leaves devastation in its path. In March, the qualifications for asylum were reshaped to exclude domestic violence and gang victims. In April, Attorney General Jeff Sessions announced the application of a zero-tolerance family separation policy along the U.S.-Mexico border. This policy led to the separation of over 2,300 children from their parents between May 5 and June 9. Amid a growing outcry over the separation of families and the treatment of children, Trump’s administration fought to justify the practice of family separation. Despite feeling like a political roller coaster, Trump’s policy changes remain loyal to the administration’s long-standing border enforcement aims. Various reports now discuss the effects of these policies on the health, safety, and well-being of children and their families. Few have considered how legal, educational, and health service providers respond to the race against time to support children and their families. Since 2012, I have conducted in-depth research with hundreds of undocumented Central American and Mexican youth and young adults who arrived in the U.S. as unaccompanied minors. These young people crossed the U.S. southern border undetected and without a parent to receive them in the U.S. Many entered the workforce as minors, taking up jobs in manufacturing, domestic or janitorial work, and restaurants or distribution warehouses to survive in cities like Los Angeles, Chicago, or New York. During this fieldwork, I have volunteered and advocated alongside dozens of service providers, ranging from lawyers and therapists to educators and community leaders. I have conducted formal and informal interviews with service providers since 2015. Border control and enforcement policies have enduring negative consequences on the lives of immigrants. The (fear of) enforcement of hostile immigration policies result in “legal violence” against immigrants and their communities. Sociological research shows that the negative effects of legal violence do not only affect those in direct contact with law enforcement, but all those exposed to the risk of family dissolution. These negative effects can include trauma, stress and anxiety, social isolation, and heightened fear. These attribute to sleeplessness, loss of appetite, long-term psychological health and development and, in severe cases, suicidal ideations, among other outcomes. Immigrants and their families and communities undoubtedly bear the brunt of anti-immigrant policies. In my research, I find that service providers describe similar experiences as they navigate the growing needs of immigrant children and their families and the shifting policies that determine their fate. Lawyers and other legal service providers arguably lead the way in the resettlement of immigrant youth in American cities. I recently interviewed an attorney and a program director at a prominent legal aid organization in Los Angeles, who described that their responsibilities consist of reviewing the child’s immigration case through in-take procedures, running referral programs to health care and social service providers, providing educational clinics on immigrant rights and asylum application procedures, among various other daily tasks. 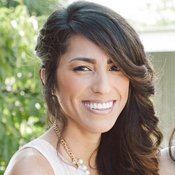 This is the case of Maria, a College Advisor for an Los Angeles Unified School District high school, who described in her tearful interview that she takes on much more than college applications and financial aid. “I want them to know there is someone in their corner. I got you.” Maria noticed that this approach is much different from other instructors or counselors who limit their engagement to their formal job responsibilities. Sociological research shows that Latinos who gain access to new resources can feel an obligation to give back to less-advantaged co-ethnics. One of the challenges Maria faces is that she not only encounters the effects of anti-immigrant sentiments at work but also at home. Her mixed-status family confronts the confusion, uncertainty, and hostility of the government’s rhetoric and policy changes. Maria and her parents are working to regularize her parents’ legal status, but Maria describes that her constant encounters with legal violence are affecting her health. “My physical health, my mental health, my anxiety… I am always thinking about the ‘what ifs,’” she said. Many immigrant advocates come from immigrant families themselves. The abuses to children seen today can be reminiscent of their personal or family’s migration experience and compound the effects of doing so. Shared experiences of fear and insecurity under changing U.S. immigration policies can motivate much of the work they do. 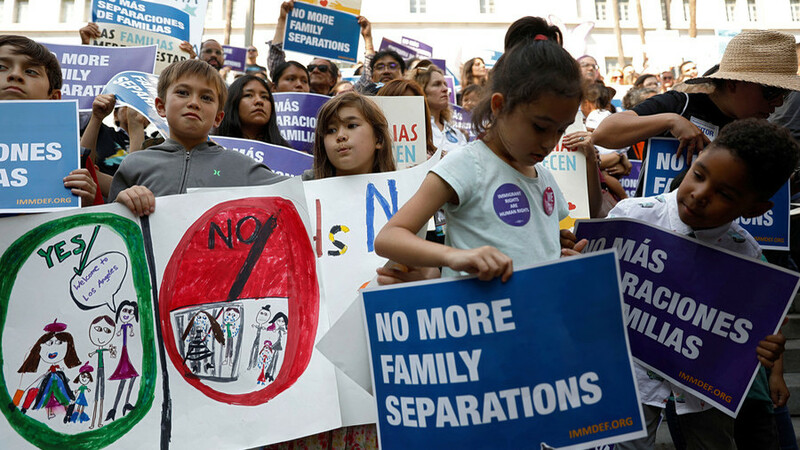 Contributing to the over 10,000 migrant children in U.S. custody, an average of 64 children were separated from their parents per day between May 5 and June 9. While the government continues its plans for family detention and works toward the reunification of already separated families, service providers at the border and in U.S. cities are racing against time to meet community needs. There is undoubtedly a widespread sense of urgency in this moment of constantly shifting immigration policy. Among service providers and advocates, the urgency lies in maximizing the resources to support families. In cities like Los Angeles, where I conducted my research, service providers benefit from state, county, and city resources allocated to the integration of unaccompanied minors. For example, LA Mayor Eric Garcetti has conducted community engagement sessions, and the Office of Immigrant Affairs has partnered with organizations to conduct “know your rights” outreach. The LAC4U website offers a guide to immigration resources in the county. On city level, the Los Angeles school district has rolled out the School Enrollment Placement and Assessment program, which offers services to enroll in school and access legal aid providers and health resources. While research shows that undocumented immigrants are less likely to attempt to access formal services than their documented counterparts, the development of such programs can build rapport and increase their reach. Mercedes spoke about the increase of resources for unaccompanied minors in Los Angeles County. “I have seen positive changes, but I wish other counties would have the same programs,” she said. Efforts like this should continue to be supported at local levels of government for the well-being of the children organizations aim to serve, as well as the legal, education, and health service providers that work on their behalf.